It was a much-anticipated day for the Chinese Independent Schools as they walked into Sunway College on July 1, 2017. 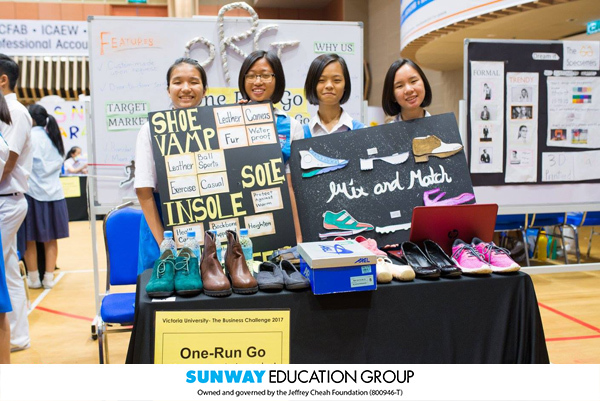 The VU Business Challenge, organised by the Victoria University Undergraduate Programme (VUUP) and supported by Sunway College, is an annual competition held to encourage budding entrepreneurs to showcase their creative innovations that can solve common day-to-day problems and meet customer needs. As the challenge rewards lucrative prizes for winners, the competition had high stakes and required the high school students to undergo a series of presentation rounds before being selected for the final pitch in front of invited adjudicators from the industry. 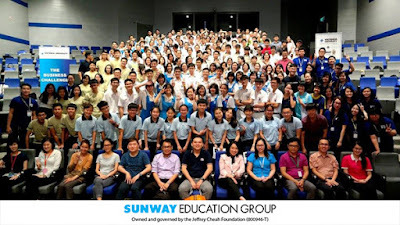 On the challenge day, the 383 attendees of teachers, participants, student supporters and even parents made the whole event a jubilant and successful one with their dynamic participation, inquisitive questioning and supportive cheers for each presentation. Once the judges had completed their rounds at each booth, the students anxiously waited for the announcement of the top five teams. 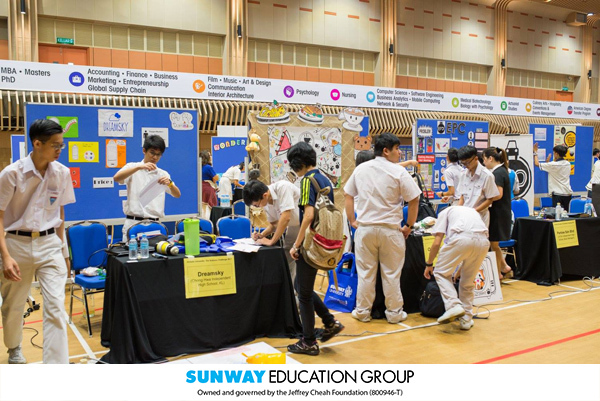 The selected five teams then did their final pitch on stage to the judges; Ms Wong Lei Lei, Director of Marketing, Sunway College, Mr Lee Thye Chong, Director of MUFY and Mr Leong Hoo Yin from Expressolab. The finalists received valuable feedback from these industry experts as the judges fairly presented to them the harsh realities faced by entrepreneurs during their product presentations. The students realised the importance of each minute they have during their pitch to sell their ideas to potential clients and why perfect delivery of relevant content is needed from them. It was a rewarding experience for all the students who participated in the VU Business Challenge. The students put on a show of amazing presentation skills, taking on tough questions from the judges and displaying immense creativity and critical thinking skills through their innovations. Bannerizer made it easy for you to promote ClickBank products by banners, simply go to Bannerizer, and get the banner codes for your picked ClickBank products or use the Universal ClickBank Banner Rotator to promote all of the available ClickBank products.